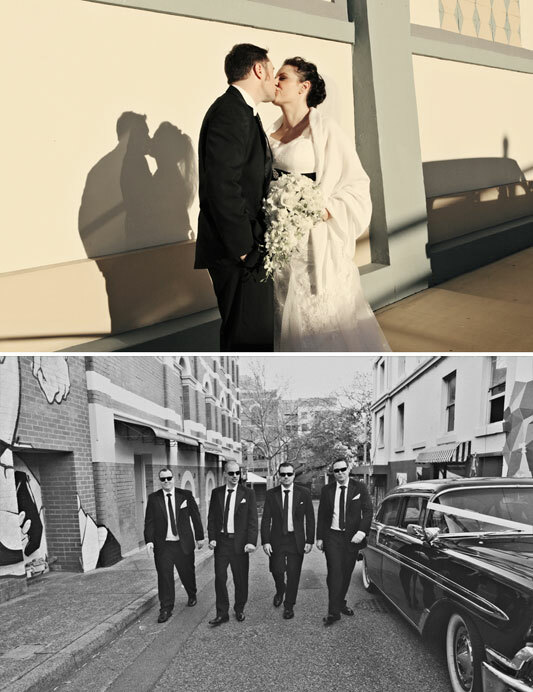 We thought we'd kick off our subway inspired wedding theme this months with some real life inspiration. 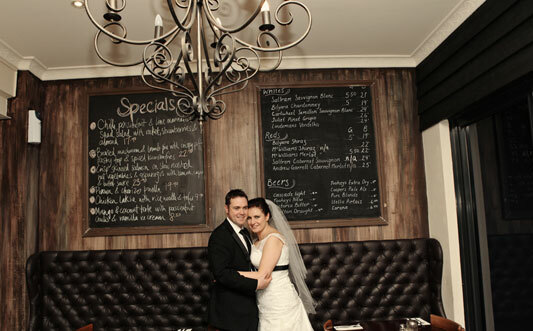 What we love about this wedding is that it's not New York, it's not Chicago - it's Newcastle, Australia. It just goes to show that you can get that vintage urban look in any city. All you need are some cool cars, funky locations and a clever photographer. Loren and Ben we're lucky enough to have all three. 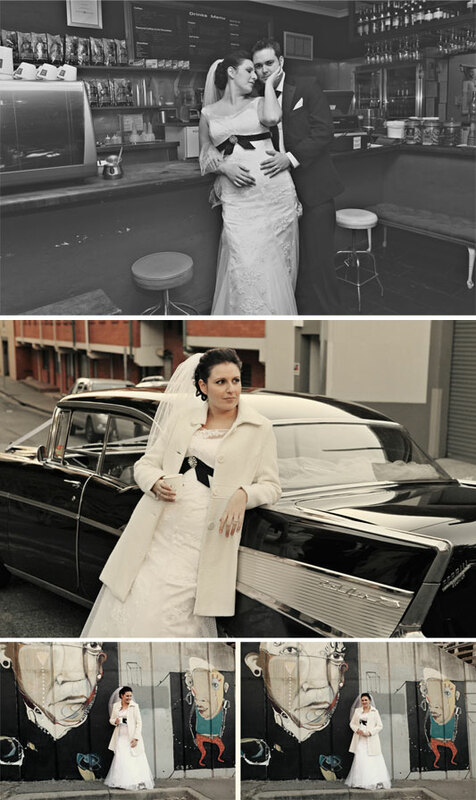 They hired some classic cars for the day and headed out onto the streets for a fabulous photoshoot with Simone Darcy Photography. A stop for coffee provided a great location, plus how cool and laid-back does Loren look with that takeaway latte? Graffiti covered side streets are the perfect spot to stop and pose, that fantastic juxtaposition of grungy concrete with Loren's beautiful dress and cute white jacket. So get out and explore the side streets around your venue, you never know what you might find.